In the post-war years, the Daimler CVA6 became the shiny new face of Coventry Transport. 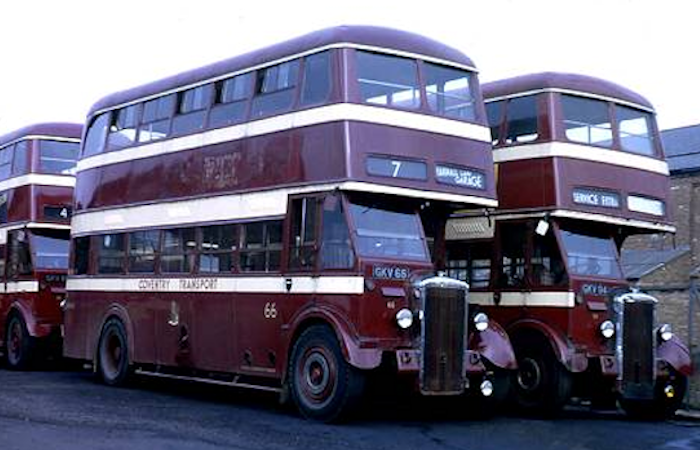 Numbered 1-96 (FHP1-30 and GKV31-96), delivery began in 1948 and all but one were in service by the end of 1950. This selection CVA6s was taken on Sunday 20th October 1963 at Harnall Lane Garage. It looks as though they have all been washed and polished especially for the occasion.